Ven. Thích Ân Giáo Roshi received ordination in the Soto Zen tradition in 1973 when he was ordained as a priest by Reverend Soyu Matsuoka Roshi at the Long Beach Zen Center in Long Beach, California. In 1979, he received transmission and full ordination as a Rinzai priest by the Most Venerable H.T. 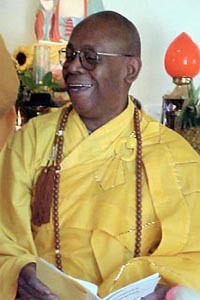 Thích Thiên Ân, the first Vietnamese Patriarch in America, at the International Buddhist Meditation Center in Los Angeles, California. Shortly after his ordination, Ven. Ân Giáo was given permission to teach and took his first monk disciple. In May of 1997, Ven. Ân Giáo was transmitted the Dharma Mind Seal by the Most Venerable H.T. Thích Man Giac, Supreme Abbot and Patriarch of the Vietnamese Buddhist Congregations in America, at Chua Viet Nam in Los Angeles, California. With the bestowing of the Mind Seal, Ven. Ân Giáo was given the title of Great Master or Roshi and became the first American, in the Vietnamese Zen tradition, to be recognized as a Great Master or Roshi. In his career as a monk, Ven. 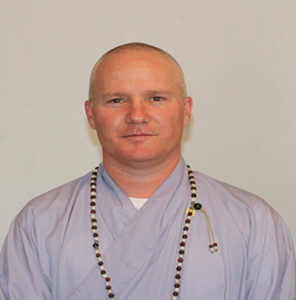 Ân Giáo Roshi has served as assistant to the Abbot, Treasurer, and Head Monk at the Long Beach Zen Center, Instructor of Meditation and Sutra Studies at the International Buddhist Meditation Center and Abbot of the Long Beach Zen Monastery. Ven. 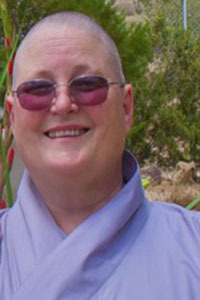 Ân Giáo Roshi works as a Professor to support the Temple and the Buddhadharma. The Most Venerable H.T. Thích Thiên Ân was the first Patriarch of Vietnamese Buddhism in America and founded the first two Vietnamese temples in the United States, the International Buddhist Meditation Society and the College of Oriental Studies. He was born in Hue, Vietnam in 1926 and at the age of 13 entered a Buddhist monastery becoming a fully ordained Bhiksu at age 20. He continued his Buddhist studies which culminated in a Ph.D. in the Literature of Oriental Studies received from a Japanese University in 1962. Returning to Vietnam in 1962, he became a co-founder of the Van Hanh University in Saigon. In 1966, he travelled to the United States to become a Visiting Professor of Languages and Philosophy at UCLA. His intention was to only visit for a year but he never returned to Vietnam. He was prevailed upon by his American students to stay and to teach Buddhism in America. He was equally empty of self, leading grand ceremonies, working in his garden on a daily basis, sweeping the walk or leading meditation in the Zendo. Roshi remembers him “as the most normal human being I have ever met.” Bhante Suhita says, “His greatness came from his selflessness and love for all beings.” He left behind a wonderful book: Zen Philosophy, Zen Practice. He passed away in 1980 after too short a life. He is still deeply missed by those whose lives he touched. The Very Venerable T.T. 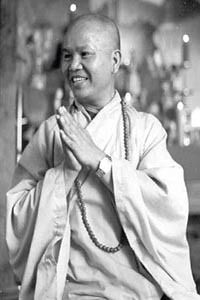 Thích Minh Nhat first found a spiritual home in Buddhism in 1983, when he took a course at the International Meditation Center in Los Angeles. In 1985, he took refuge, receiving the name Nagacitta Karuna. In 1992, Rev. 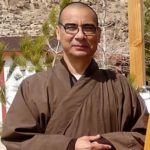 Nagacitta was ordained as a Sramanera and then, in 1994, was fully ordained in the Vietnamese Rinzai Lam Te Zen tradition and given the name of Thích Tâm Hue. He trained intensively under Ven. 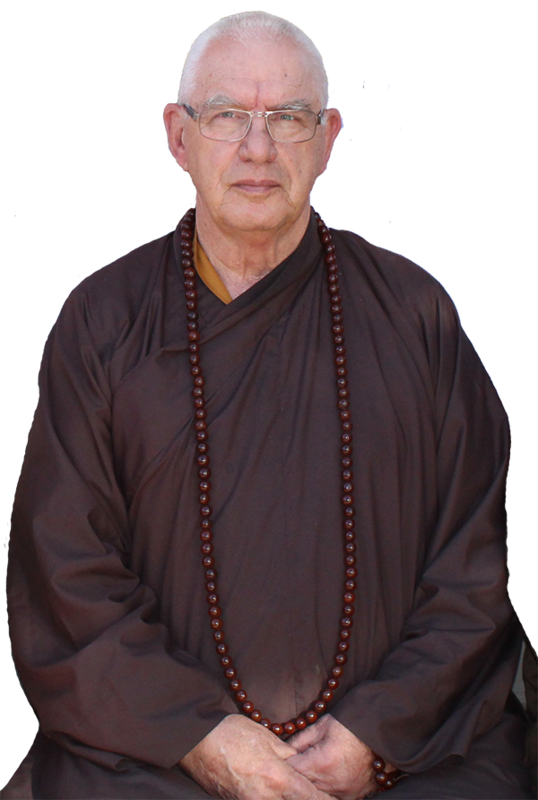 Ân Giáo Roshi, Abbot of the Desert Zen Center in Lucerne Valley CA, from whom he also received Soto Zen ordination in the lineage of Rev. Soyu Matsuoka Roshi. In July of 2010, Ven. Tâm Hue was transmitted the Dharma Mind Seal by the Most Venerable Thích Ân Giáo Roshi, and was given the title of Great Master under the name Thích Minh Nhat. Inspired by Thích Nhat Hanh and Roshi Glassman, he founded the Strawberry Dragon Zendo with a primary focus on chaplaincy to the incarcerated, working with Zen Center of Los Angeles’s Angulimala Prison Project. 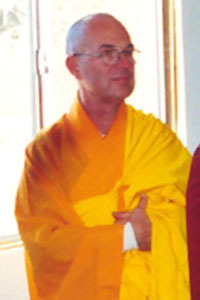 Bhante Suhitananda Dharma (Ven. Thích Ân Duc) was Most Venerable H.T. 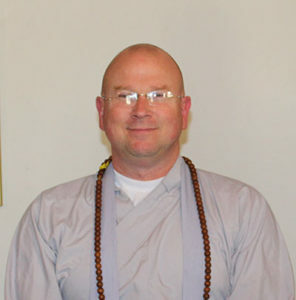 Thích Thiên Ân’s first American monastic disciple. 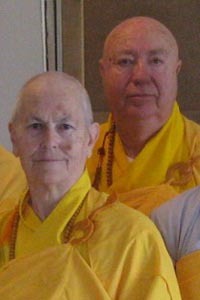 He is the most senior monk of our order and is Ven. Thích Thiên Ân’s Dharma heir. Bhante is presently living at Lankarama Temple and Hsi Lai University. 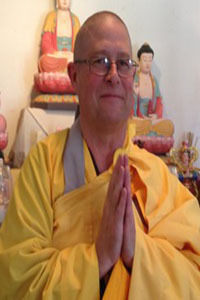 He was awarded a fellowship at HLU to engage in research and prepare a paper on the use of Buddhist self transformation techniques, such as Mental Development and Self Empowerment based on Buddhist psychological insights found in the Abhidhamma and other Buddhist teachings. His visits on a regular basis and often participates in interfaith activities. Bhante Suhita passed away on December 28, 2013. Bodhi Svaha! Reverend Thích Tâm Hy originally taught himself to do Zazen meditation through the book, The Three Pillars of Zen. While searching centers in Southern California, he discovered the Desert Zen Center, right in his home town of Lucerne Valley. There is an empty zafu in our Dharma Hall, where he sometimes visits, some of us believe. We miss him. She took the eight precepts of a postulant in 2004 and was ordained as a Sramanerika in 2006. In 2008, she was given full ordination in the Lam Te Zen School and received the name Thích Tâm Hu’o’ng. In 2009, Su Co Tâm Hu’o’ng became the disciple of the Most Venerable Thích Ân Giáo Roshi – Abbot of Chùa Thiên Ân. Devoted to meditation and peacemaking, Su Co Tâm Hu’o’ng is a member of the Buddhist Peace Fellowship and Sakyadhita (Daughters of the Buddha): the International Association of Buddhist Women. She is currently on walkabout in Southern California and beyond. Reverend Thích Tâm Hien was Ven. Ân Giáo Roshi’s senior disciple having studied with him since 1981, when he took lay precepts. In 1982, Rev. 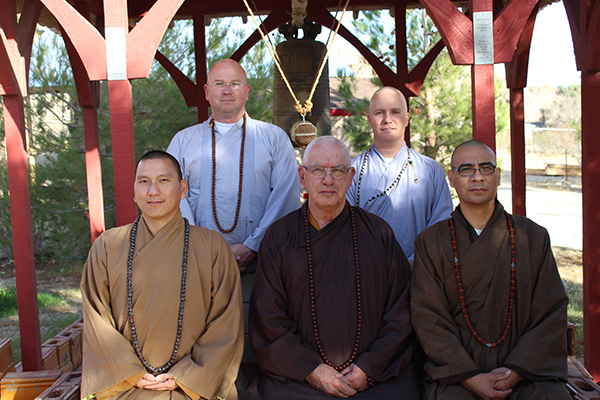 Tâm Hien entered the priesthood when he took the eight precepts of a postulant monk with Ven. Ân Giáo Roshi . In 1994, Rev. 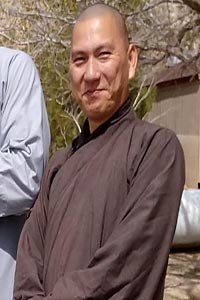 Tâm Hien, after many years as a postulant and novice, received the full ordination of a Zen monk and was transmitted the lineage of the Lam Te Zen School by Ven. Ân Giáo Roshi. In 2000, he was recognized by Ven. Ân Giáo Roshi as a Zen Master. He died of pancreatic cancer on October 7, 2002. Rev. 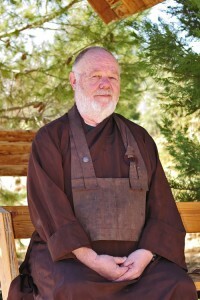 Tâm Hien was the Vice Abbot of the Desert Zen Center. Very Venerable Ni Su Thích Minh Chau (Fern Shin Getsu Myosen McGuire) and Thuong Toa Thích Minh Tri (Ken Hogaku Sho McGuire) died suddenly, within days of each other. They were both recognized in a Transmission of the Light Ceremony, which welcomed them into the Vietnamese Lam Te Thien tradition in December 2010, by The Most Venerable Thích Ân Giáo Roshi. Each and both: Great Masters, as well as great people. Oh, how we miss them.